Making an insurance claim on a motor vehicle accident, construction issue, or personal injury incident, can be outright confusing; especially if it’s your first time going through the process. Don’t worry though. Millin & Millin PLLC are more than capable of advocating for you and helping you find the peace and justice you deserve. When you choose Millin & Millin PLLC, you are never alone in the process. In fact, here are some tips and information that will help to ease the stress of going through the various steps of the claim. The first thing we advise you to do is to read through your insurance policy thoroughly to see whether you are covered and what exactly you are covered for. Bare in mind, you may be covered for the same loss under more than one policy. However, you cannot claim under more than one policy for any loss, so carefully consider which policy to claim against. If you need to set up an insurance claim, call your insurance adjuster and provide them with exact and concise details of the claim. Also, make sure to request a claim form if they have not offered to give you one. Depending on the specific type of claim, your insurance adjuster will give you advice on what to do next. For example, if your home has been damaged, they may suggest you get some emergency repairs done. Always check that your insurance will cover the cost of any repairs. For larger claims with extensive damage to the home, it may be best to hire an experienced professional to thoroughly inspect the area. By working with a 3rd party inspector, you’ll have a professional working on your behalf (rather than for the insurance company), and they may even help to negotiate with your insurance company to settle your claim. By utilizing an expert, insurance companies are much more liable to provide you with the proper compensation for the damage to your home. However, keep in mind that the inspector will not be covered by the insurance, and you will have to pay for their fees out of pocket. Another aspect to take into consideration is the “size” of the claim. If the total amount is relatively insignificant, then you might want to hold back on making that claim. If you do decide to make a claim, regardless of its monetary value, you may lose your no-claims discount with certain insurance companies. A no-claims discount takes into consideration the number of years in which you have not made a claim on your insurance policy and its worth varies from insurer to insurer. Additionally, you may find it more difficult to shop around for certain types of coverage the next time you renew your policy. 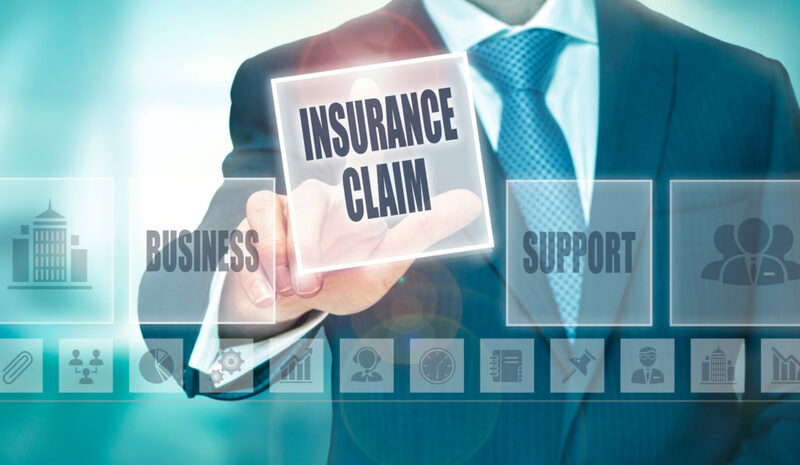 Furthermore, insurance companies are required by law to have a written procedure in place for dealing with claims and should assist you in the process. You should also consistently receive information about new developments and about changes within the process that can affect the outcome of your claim. You should know the decision on your claim within 10 business days of when the insurance company makes the final decision. When a claim is not settled in your favor, you should receive the reasons why in writing, and be provided with details on how you can appeal the decision. There is no definite length of time to settle an insurance claim and it simply depends on the type of claim being made. Complicated or larger claims may require expert analysis or the input of several knowledgeable professionals before the claim can be decided. Though your insurance company will be the party that decides whether your policy covers the costs and damages, ultimately it is your choice whether or not to accept the settlement. If you are dissatisfied with their offer then you have the legal right to attempt to negotiate. If the statute of limitations has not passed, then you are allowed to seek legal advice, and have an attorney review your case to help you determine if are being compensated appropriately. Make sure to always give accurate information whenever you are applying for an insurance policy. Be aware that any claim you make could be negatively affected if you give inaccurate or incomplete information when you initially apply. If you have a claim against you by another party, insurance companies are not obligated to inform you of the outcome of such a claim and can agree upon a settlement without your knowledge or consent. Always keep in contact with your insurance company and know the name of the insurance adjuster who is appointed to your case. If you disagree with the outcome of claim against you or have any issues throughout the process, you have the right to let your insurance adjuster know, and can speak with a representative from the customer service department at the insurance agency. If you were involved in an auto accident, or perhaps affected by hail, and need repairs made to your car, you might want to make a claim on your policy to cover the cost. Your insurance company will likely have a list of approved auto repair shops that are permitted to work on your vehicle. There is also the possibility that you may be given the option to use an auto repair shop of your choice.